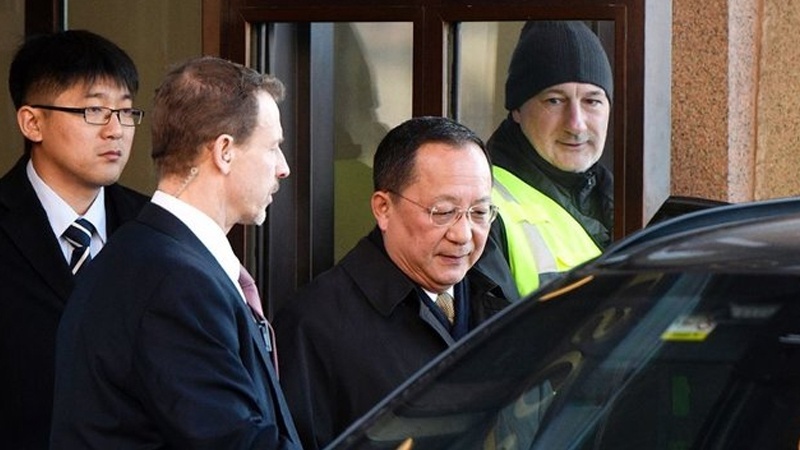 North Korea’s foreign minister has finished three days of a visit to Sweden, where discussions reportedly focused on resolving the conflict on the Korean Peninsula. Foreign Minister Ri Yong-ho arrived in the Swedish capital, Stockholm, on Thursday, in a visit about which few official details were available but that was speculated to have focused on the logistics of potential mediation by Stockholm between Pyongyang and Washington. During his stay in Sweden, and amid a diplomatic opening with South Korea and the United States, Foreign Minister Ri met both with his Swedish counterpart, Margot Wallstrom, and Prime Minister Stefan Lofven. The visit, originally planned to end on Friday, continued into the weekend. The Swedish Foreign Ministry on Saturday released a tightly-worded statement about the meeting between Ri and Wallstrom. There was no immediate comment from Foreign Minister Ri. “The dialog has been constructive. It should be seen as a positive sign that the meeting was extended (until Saturday),” a source with knowledge of the discussions said, according to Reuters, which did not identify the source. The media have been speculating that Sweden may host a meeting that US President Trump has said is being planned between him and North Korean leader Kim Jong-un “by May.” Trump expressed his eagerness in that meeting last month, after he was briefed by two top South Korean officials who had earlier met with Kim in Pyongyang and seemed to convey a message on his behalf. There has been no official confirmation from Pyongyang or Stockholm, however. Trump reaffirmed on Friday that he was willing to meet Kim. The two Koreas have been improving ties since January, when Pyongyang announced its willingness to participate in the Winter Olympics. The two neighbors have been separated by a heavily-militarized border since the end of the Korean War in 1953.